I read this article and wanted to share it with you: Why Sonlight engages non-Christian ideas https://blog.sonlight.com/why-sonlight-engages-non-christian-ideas.html. I've noticed two overarching styles of preparing Christian students to engage with the world around them. One approach seems primarily inward-focused, seeking to keep children from non-Christian ideas and teaching them to defend their faith and know how to answer critics. This approach can carry a lot of good, but I don't think it encompasses all we're called to do as Christian parents. The other approach seems more outward-focused. It stems from the fact that we are not just called to hold down the fort of Christianity, but to go out to the ends of the earth and spread Christ's love through the world. We are called to raise our children to be ambassadors for Christ in the world (2 Corinthians 5:20). To do that, I believe we must both teach our children answers to critics' questions and teach them how to wisely and lovingly engage with the critics themselves. We don't just want to beat non-Christians in debates; we want to listen to them and treat them as people made in God's image. Even when we ultimately disagree, I believe we can learn from people who believe and live differently than we do – and share Christ's love for them in the process. Five of the B children hang out and study together. 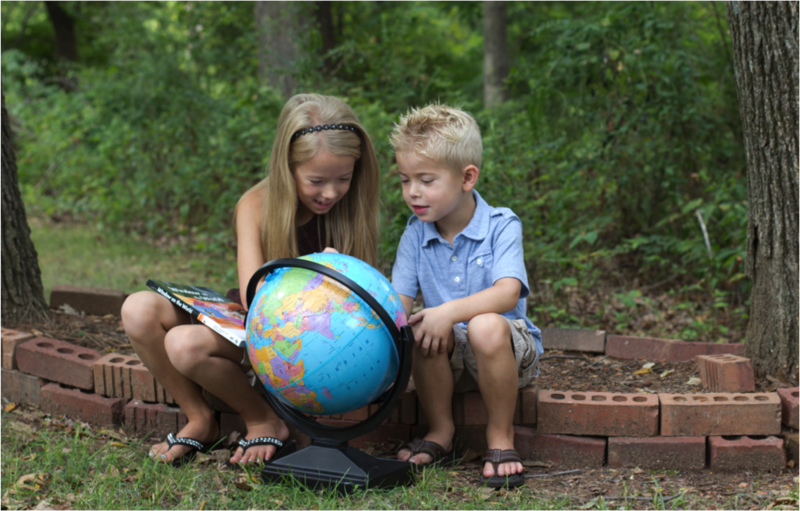 Their mom Michelle writes: "We see the benefits of homeschooling with Sonlight: mature, critical-thinking young adults with an ability to engage the world around them." We want to raise up young adults who are not afraid of non-Christians. I don't think this can come from a purely defensive approach. 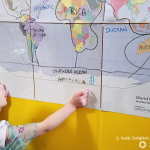 One way this expresses itself in Sonlight's curriculum is through our conviction that education should not ignore ideas that conflict with a Christian worldview, but that it should gradually help children engage with those ideas. Taking this a step further, we at Sonlight believe that the best way for children to engage challenging ideas is within the home, under their parents' guidance. Your children will encounter secular and anti-Christian ideas someday – surely by the time they are young adults. So here's the question I think we all need to ask: Would you rather be your children's guide as they gradually encounter challenging ideas? Or would you rather they face these ideas for the first time when they're out on their own, just hoping their friends and/or unknown teachers will guide them wisely then? I believe it is far better for Christian parents to prepare their children to engage such ideas within the home, than to simply hope they will learn such skills from others. 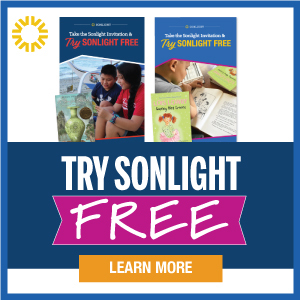 "Sonlight helped me teach my children to think. The books are chosen to spark conversations you might not otherwise think of having. We tackled tough subjects that I am not sure are covered in other curriculums, such as racism and prejudice, other religions and cultures, fear, idol worship, parent/child interaction, and communication to name a few. And we didn't just talk about the topic and check it off the list. We read a book that made us feel we were in the situation and allowed us to really dig deep into our thoughts and emotions and use scripture to evaluate them. 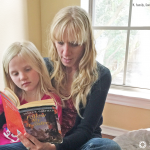 "Because of the books Sonlight chose – ones that other curriculums often steer clear of – I was confident my children could think for themselves and that they knew what and why they believed. Also, that they had already thought about many of the things they would be encountering away from home." 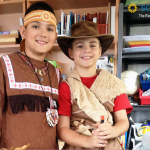 Even as Sonlight helps you give your children a firm foundation in a Christian worldview, we also help you teach your children about other cultures, beliefs and ideas. Books about other parts of the world help your children see that people might live differently than we do, but that they are still intelligent people just like us, who need Jesus' love and salvation just as much as we do. This helps prepare students for life once they leave your home. 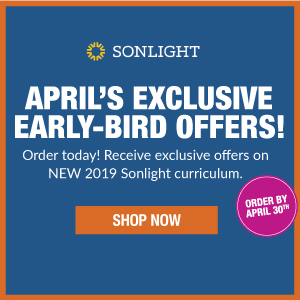 The point of all this comes back to Sonlight's overarching educational goal: to help parents raise up children equipped to do whatever God calls them to do. That directs everything we do in our curriculum. We believe it entails excellent academic preparation, a firm foundation in Scripture, and helping children develop a heart for the world. We also believe that by the time children leave the nest, they must be prepared to wisely and lovingly engage with people who believe things contrary to their own worldview. Is this an important value to you as well? I know it can sound a bit scary, but God has equipped you to teach your children. You CAN guide them well, and Sonlight will walk with you each step of the way throughout their education. Our children ultimately belong to God, and we pray that God draws them to Himself, preparing them to be ambassadors for Christ in this world that He loves so much. May God bless you in this great and worthy task! P.S. To read more about how and why Sonlight approaches challenging ideas, check out this short article called "The Sonlight Difference." You might also enjoy a Forum thread that supplied two of the quotes I used above. 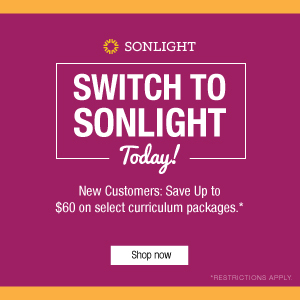 A first-time homeschooler asked "Please share the long-term benefits of Sonlight for your family" – and received some excellent answers! P.P.S. 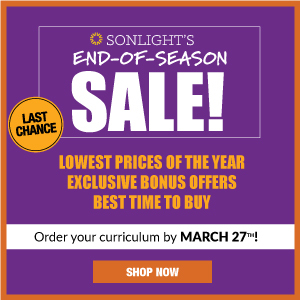 If you have any questions about Sonlight as we draw close to the time when many start their homeschool year, please don't hesitate to contact a homeschool expert at no charge. You can email, call or chat online with an experienced Sonlight mom who can answer your questions without pressuring you into anything.